As you might imagine, living in a very progress town, Earth Day is huge in Takoma Park. Though the day is marked on the 22 of April, we live it every day here. After all, this town is called "Tree City" due to the largest amount of green space per population in the area. You can see it in our town logo. In Old Takoma (the original town center), all of the business run on wind power. The businesses are also all privately owned (no chain stores). This allows them to set their own energy policies with the community and not be tied to some corporate conglomerate just looking to the bottom line. EVERYONE recycles (cans, glass, paper, paint, batteries, medical waste, etc...) and we are composting and gardening fanatics. Takoma Park host one of the area's best farmers' markets year -round. We are not perfect; there is always more to do, but I'm very proud of the effort my town collectively and individually participates in to assist this global effort in reducing our impact on Mother Earth. 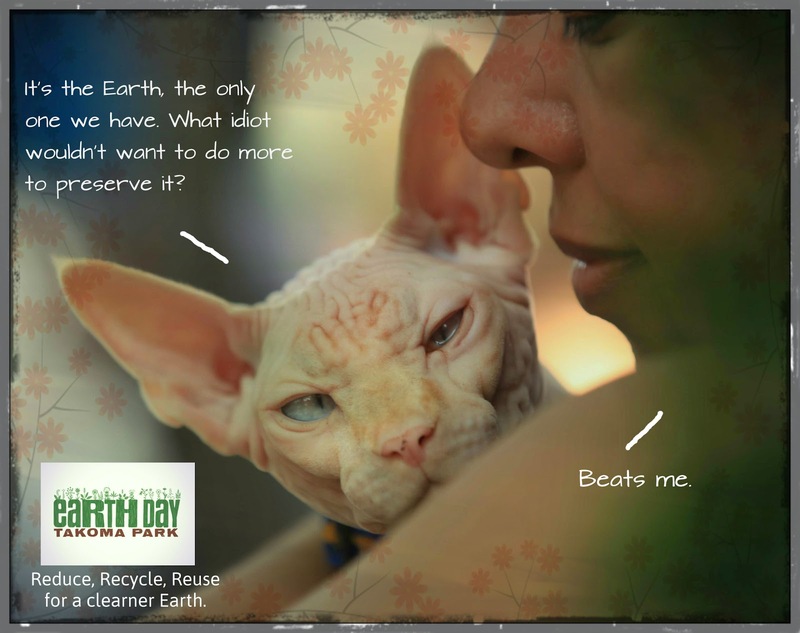 Moshe Moshi and I will be attending a community event for Earth Day this weekend. 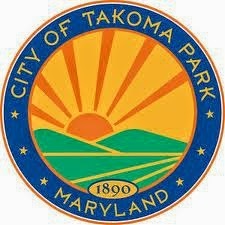 To read more about Takoma Park's Earth Day events, click on Earth Day Takoma Park! We agree - why wouldn't you be a good steward of it?!? 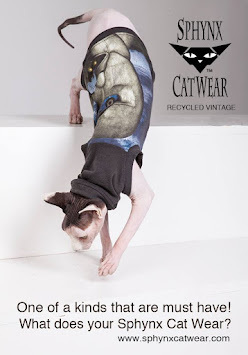 You're cats, of course this makes sense to you. But sometimes these humans need a bit of encouragement. ..or a slap to the head.